Since hundreds of years ago, ginger has been known as a plant that is very rich in benefits, either as herbs or spices and herbs. Plants that have a scientific name Zingiber officinale Roscoe originally came from Asia Pacific, spread from India to China. It's not difficult to find ginger, because these plants is now widely used as a spice in cooking them, giving a taste of various foods and drinks, as well as ingredients in traditional medicines. 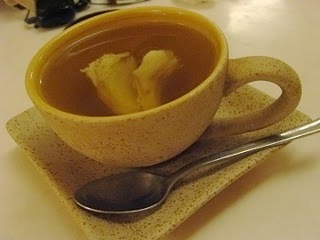 Especially as a drug, the efficacy of ginger has been known hereditary them as a reliever headache, cough, runny nose. Ginger is also often used as a medicine to relieve indigestion, rheumatism, nausea and motion sickness medication, bloating, cholera, diarrhea, sore throat, diphtheria, neutralizing toxins, itchy insect bites, sprains, swelling, and bruising. Various references is also worth noting that ginger can prevent and treat certain diseases, such as burns, headache, migraine, lower cholesterol, arthritis, gastric ulcer, antidepressants, to impotence. Despite this, all the properties of ginger is still not enough evidence to show that it must therefore be tested scientifically. So far, the results of pharmacological tests have shown that Ginger has some as anti-inflammatory activity. Laboratory tests have shown that ginger in hot water inhibits cyclooxygenase activity lipoksigenase and thus reduce prostaglandin and leukotriena (mediators of inflammation). Research in China reported that hundreds of patients with rheumatoid arthritis and chronic back pain who were injected 5-10% ginger extract to obtain the effect of pain reduction, reduce swelling of joints. Giving oral ginger powder as in patients with rheumatoid arthritis and musculoskeletal reported to reduce pain and swelling. Ginger is also efficacious as an anti-vomiting and can be used by pregnant women to reduce morning sickness. 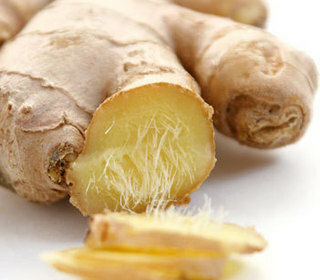 Research indicates that ginger is very effective for reducing the compound metoklopamid induced nausea and vomiting. According to the German Federal Health Agency, ginger is effective for treating digestive disorders and the prevention of motion sickness symptoms. Ginger contains two digestive enzymes that are important in helping the body digest and absorb food. First, the function of lipases break down fat and the second is a protease that breaks down protein function. Ginger also contains at least 19 bio-active component useful for the body. chemical compounds in ginger is one of the essential oil consisting of sesquiterpene, zingiberen, bisabolena, zingeron, oleoresin, kamfena, limonene, borneol, cineol, sitral, zingiberal, felandren. In addition, there are also sagaol, gingerol, starch, resins, organic acids such as malic acid and oxalic acid, vitamin A, B, and C, the compounds flavonoids and polyphenols. One of the most important components of the gingerol are blood thinners to prevent blood clotting. So with that ginger can prevent the obstruction of the blood vessels, leading cause of stroke and heart attacks. Gingerol is expected to also help to reduce cholesterol.